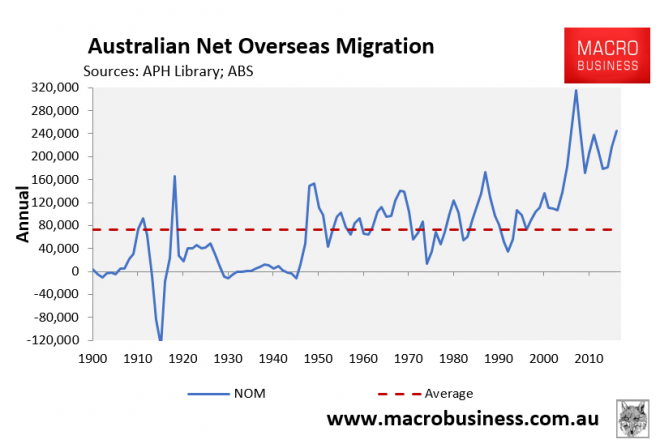 “Australia’s net overseas migration for the year ending 30 June 2017 was 245,400, an increase of 27 per cent from the previous 12 months (2015-16). Good to see you on the ball Olaf, but it only gets worse! 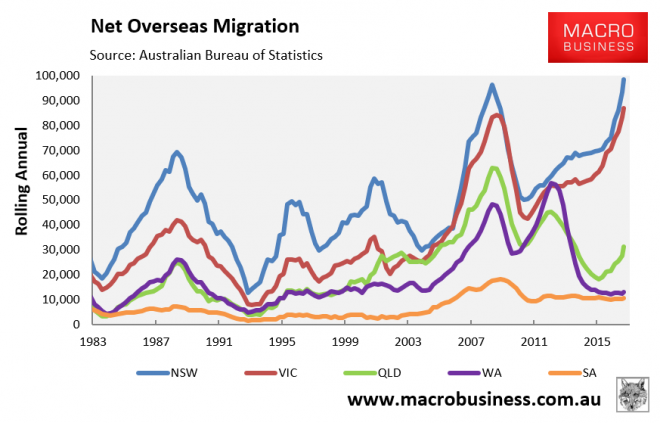 The Victorian State Government was in the MSM today sprouting their 'achievement/s' "Housing boom fills Victoria's coffers" with the population expected to grow by 2.3% or some 147,000 people in the next 12 months. 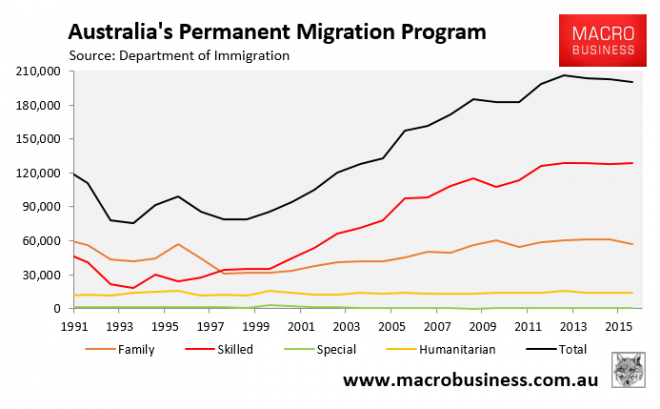 So far from any stabilisation in the population stakes, the Andrews government intends on ramping it up. Of course as if on cue, the COALition point the finger at the Labs accusing them of sponsoring a ponzi scheme. Don't you just love!!! During the week I read Jane O'Sullivan's paper "The Burden of Durable Asset Acquisition in Growing Populations" and am currently reading Richard Denniss' book "Curing Affluenza" subtitled "How to buy less stuff and save the world'. Unfortunately, Jane's paper will cost you your hard earned, maybe admin could come to the party here?? Both are must reads for anybody wanting to understand the foolhardy madness that surrounds us at the moment.